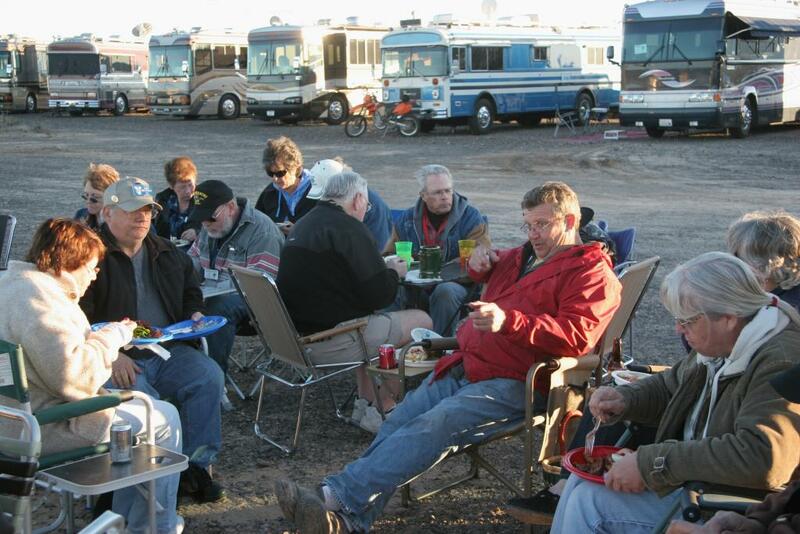 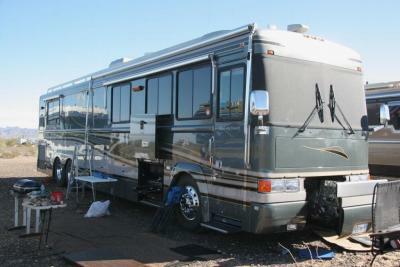 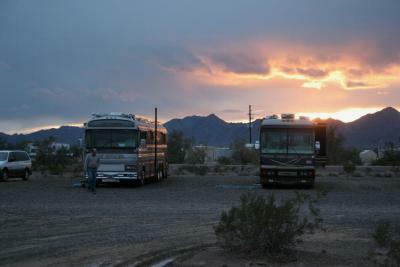 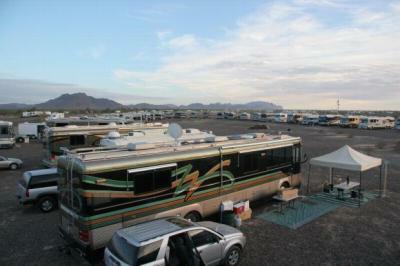 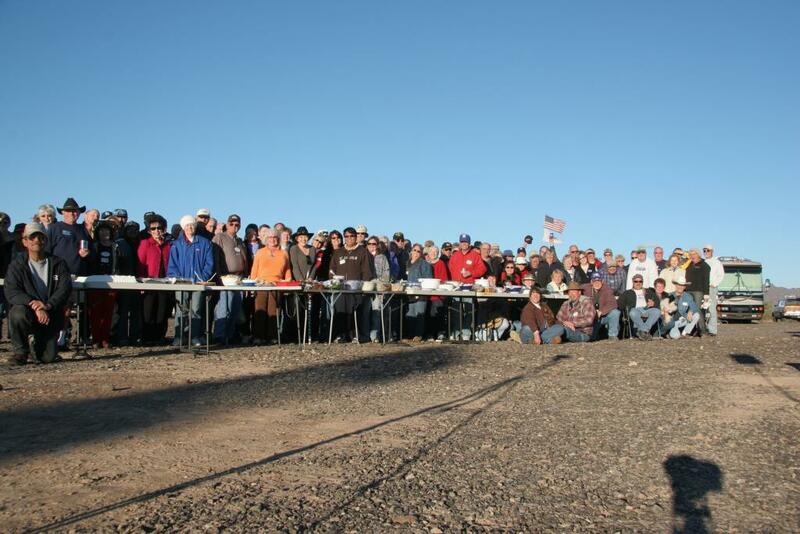 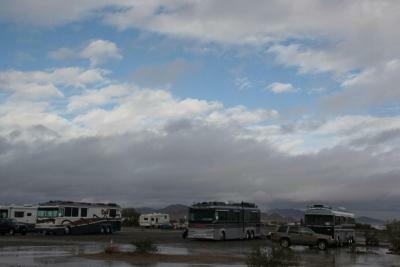 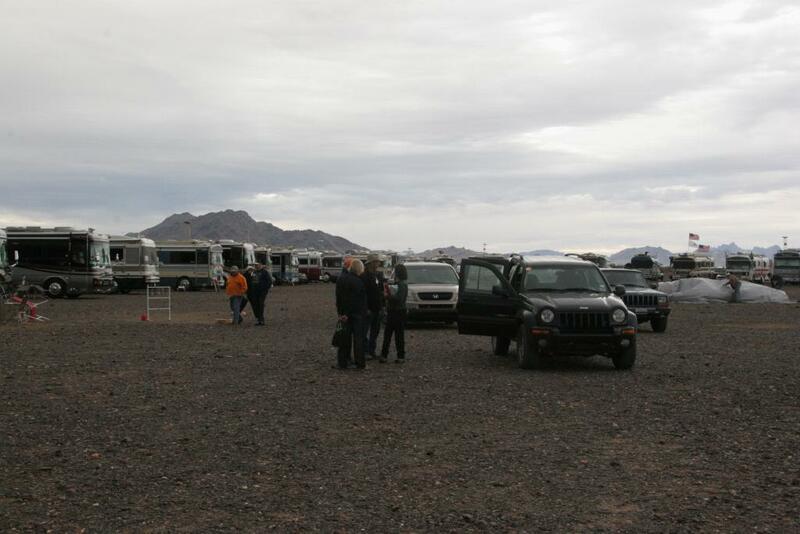 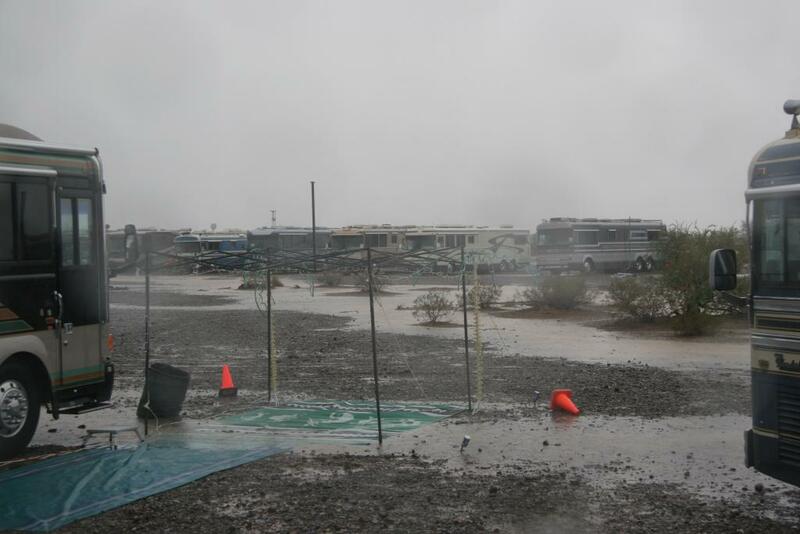 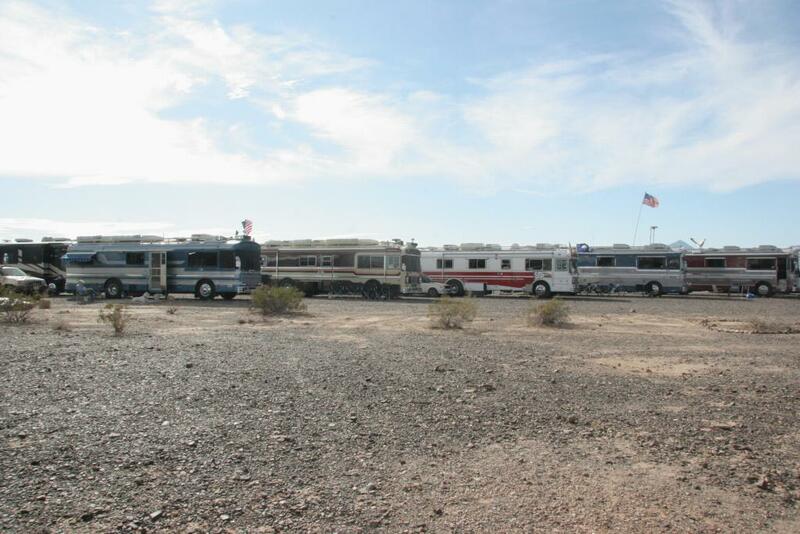 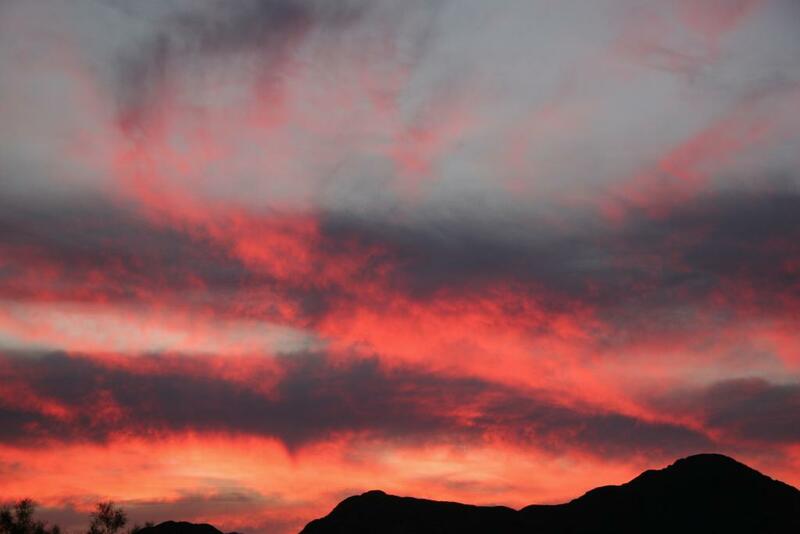 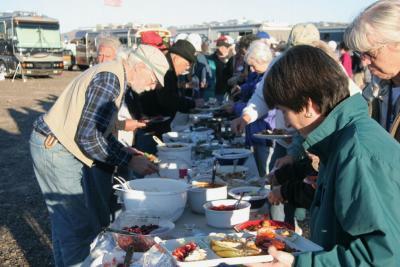 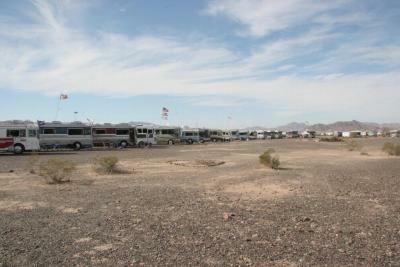 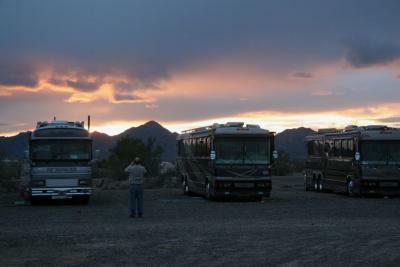 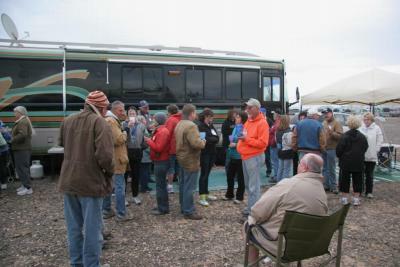 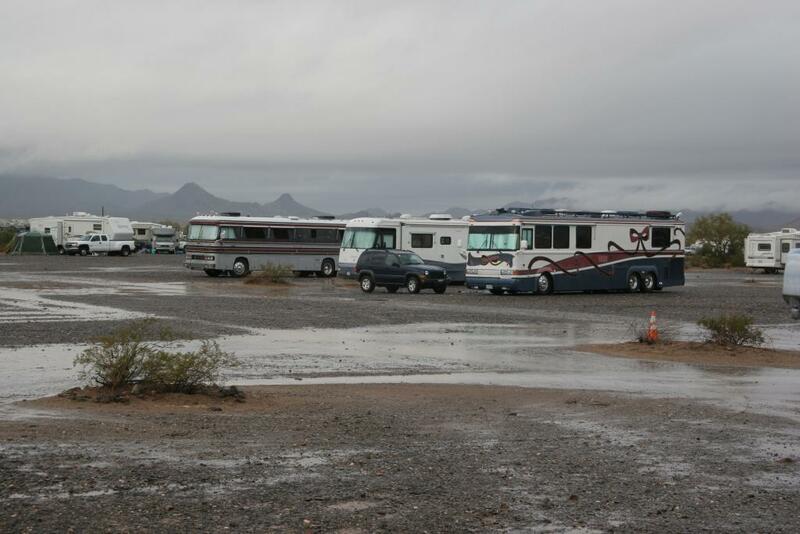 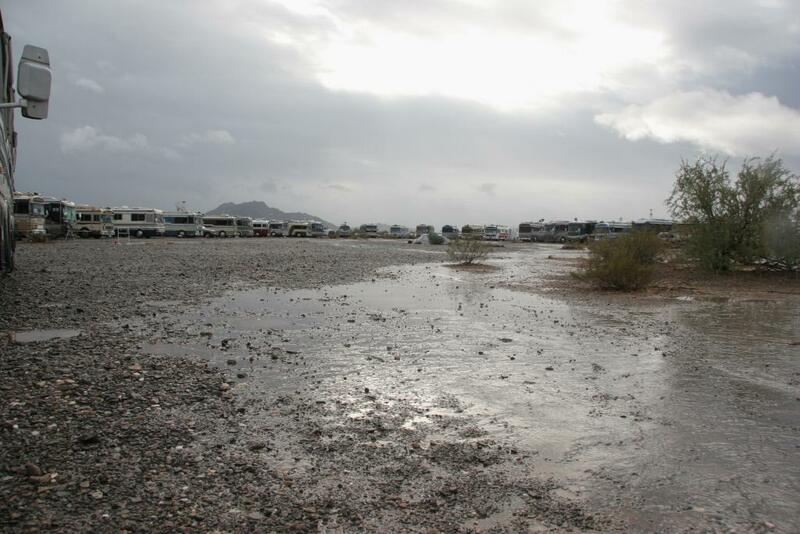 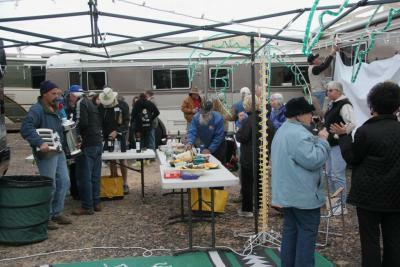 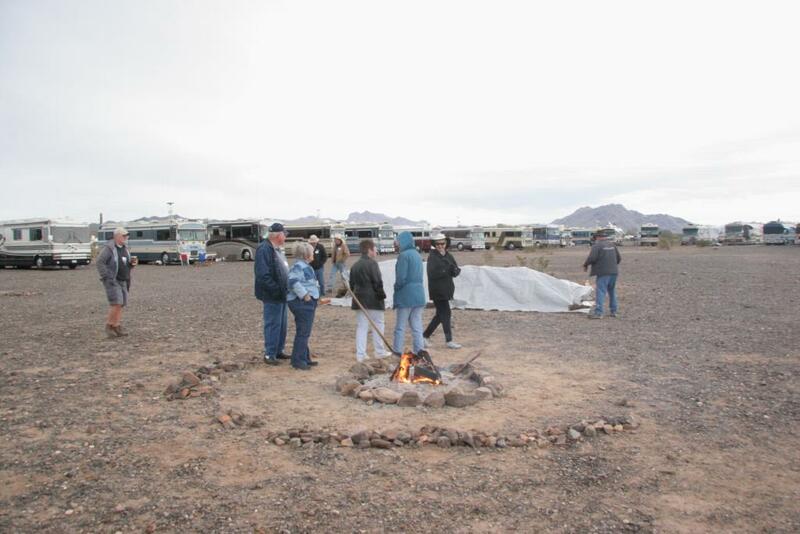 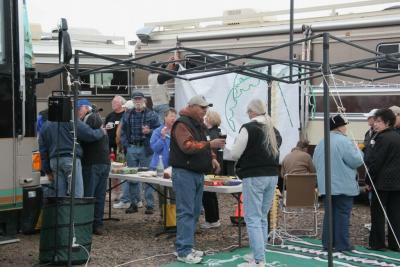 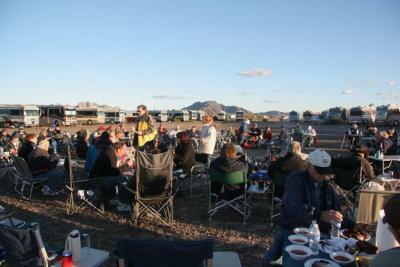 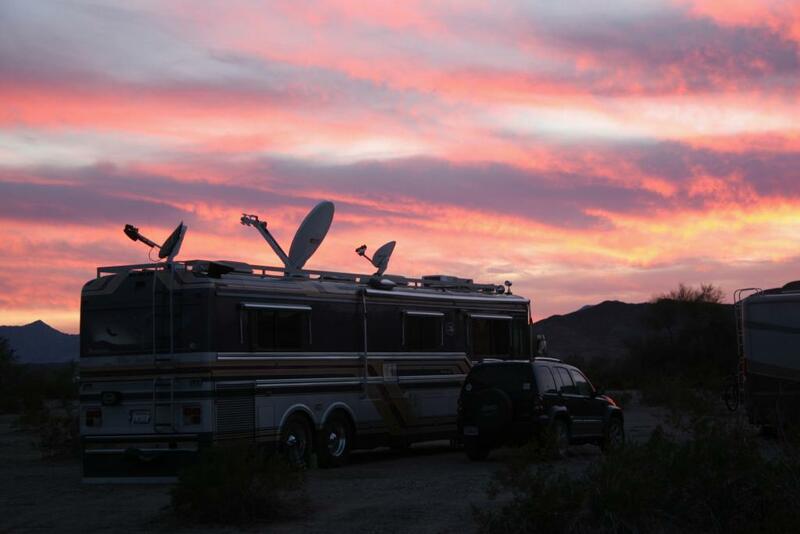 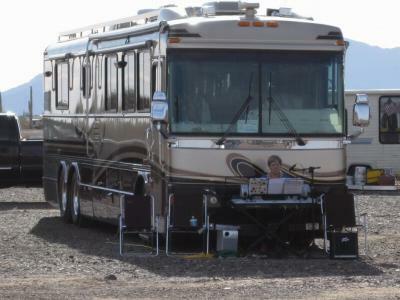 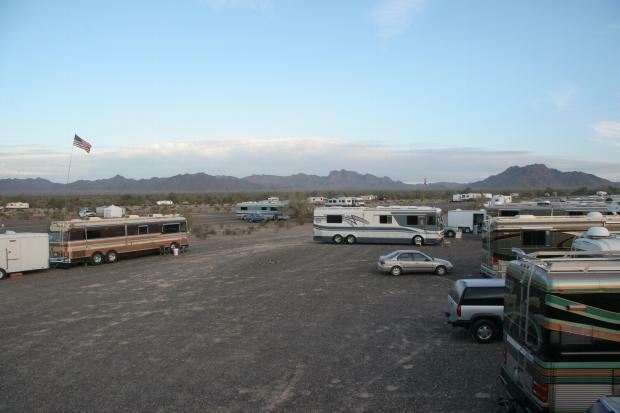 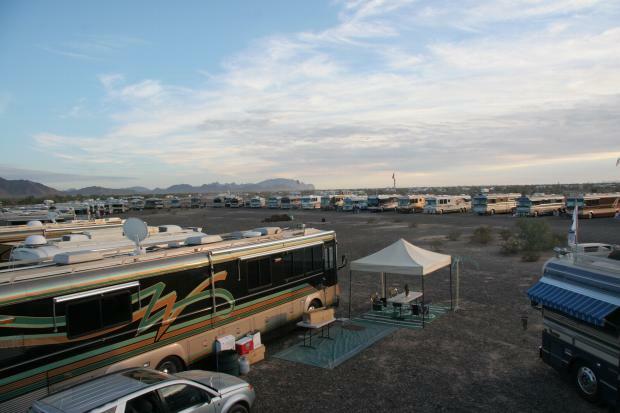 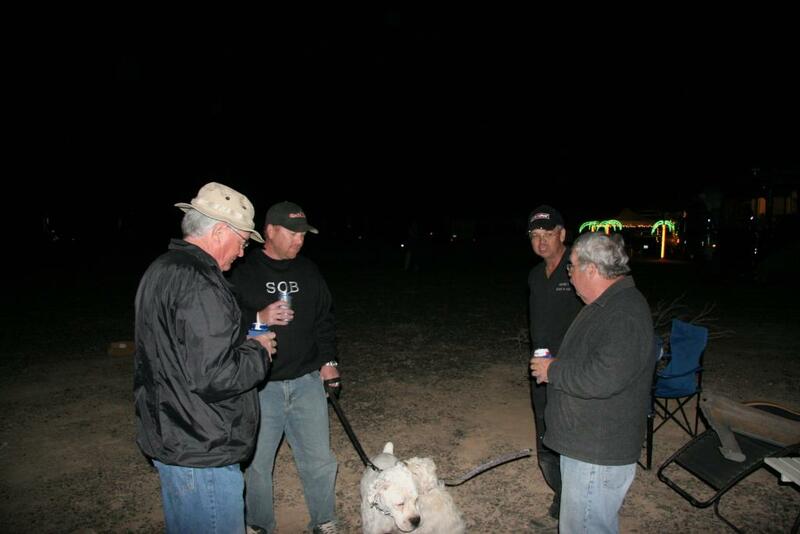 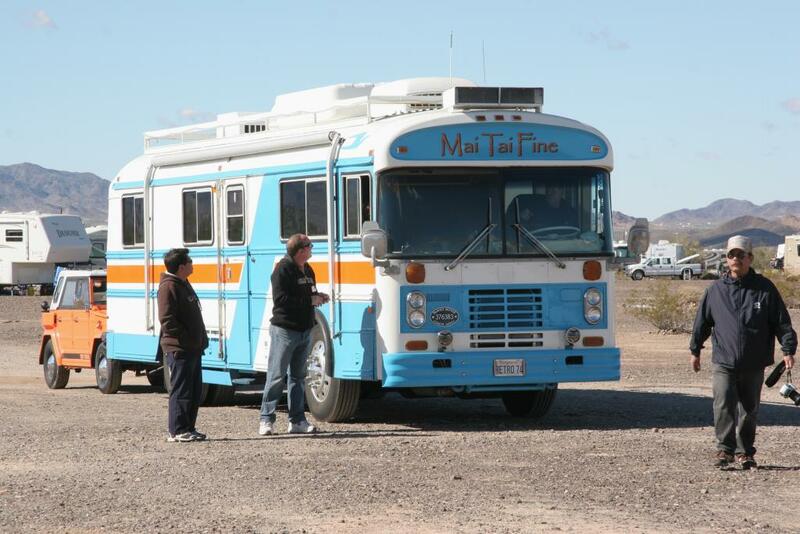 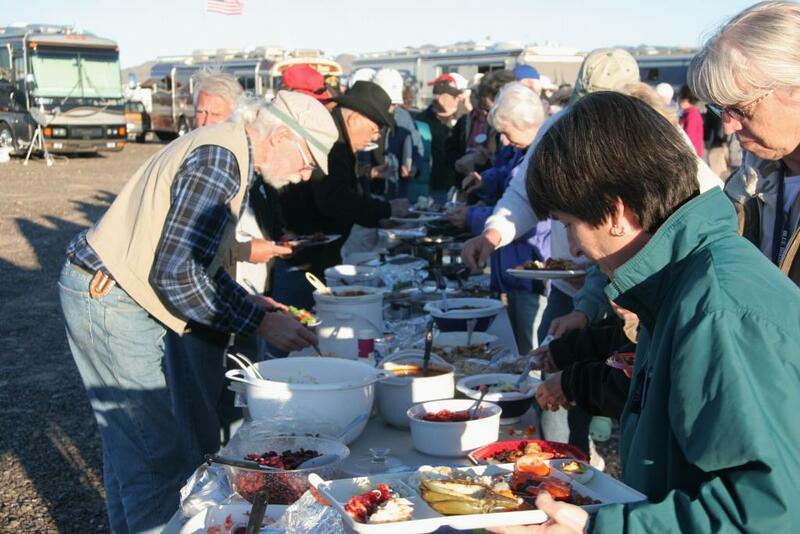 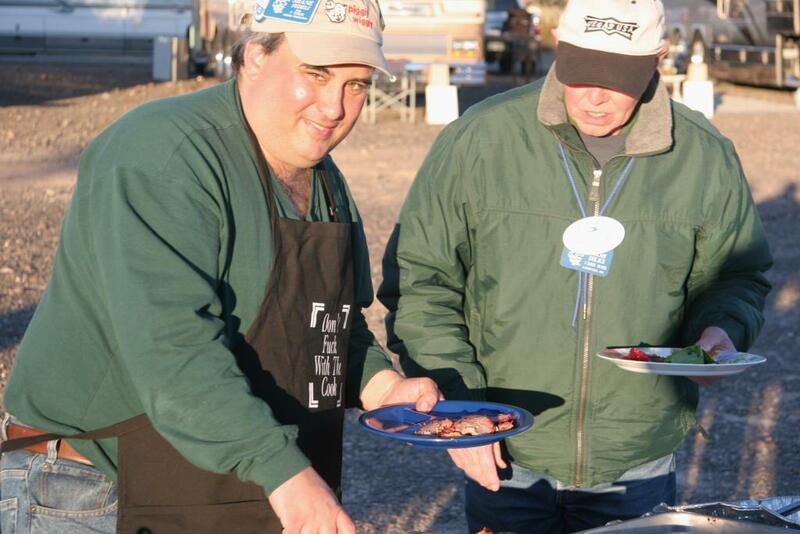 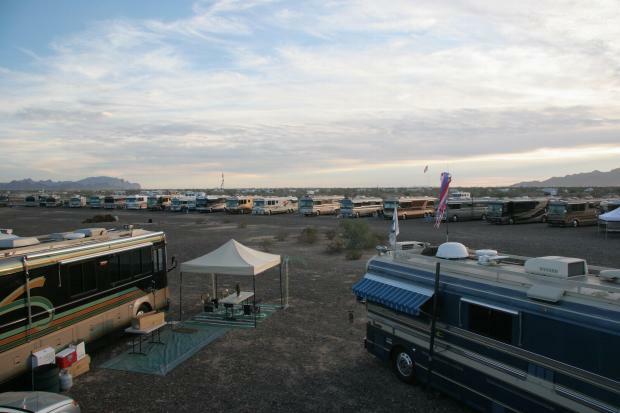 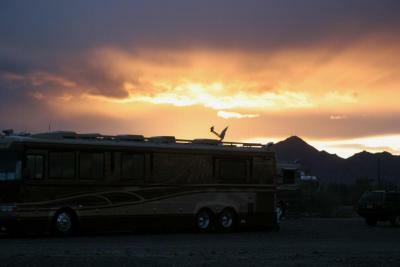 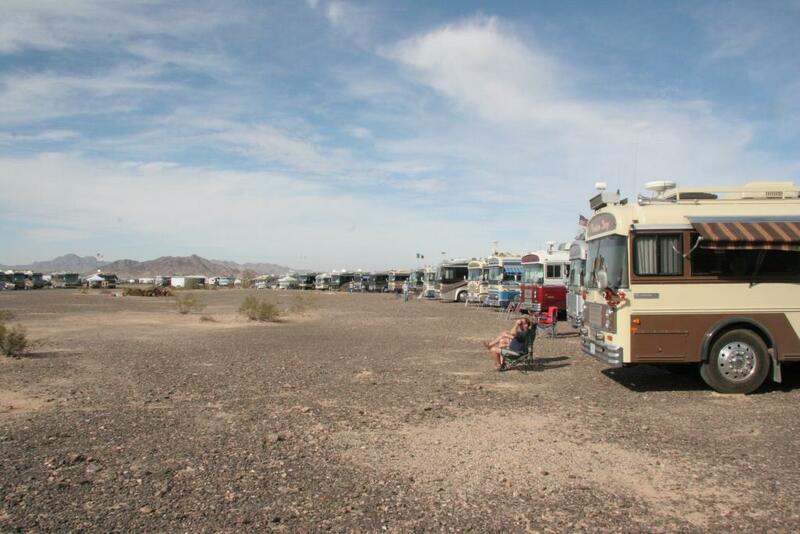 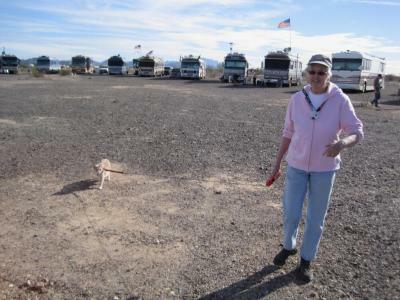 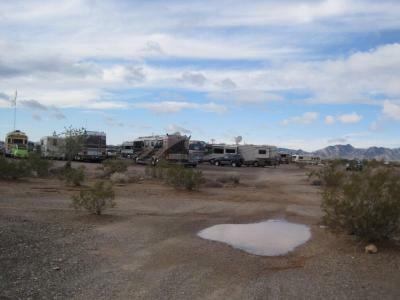 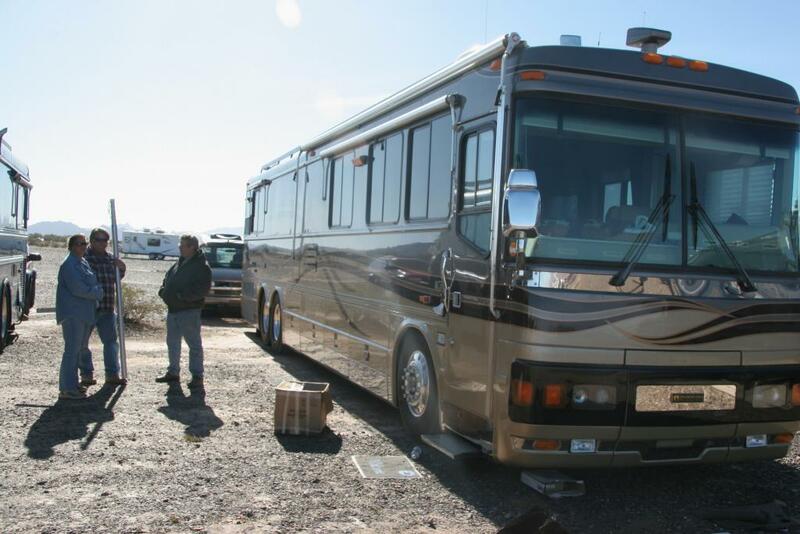 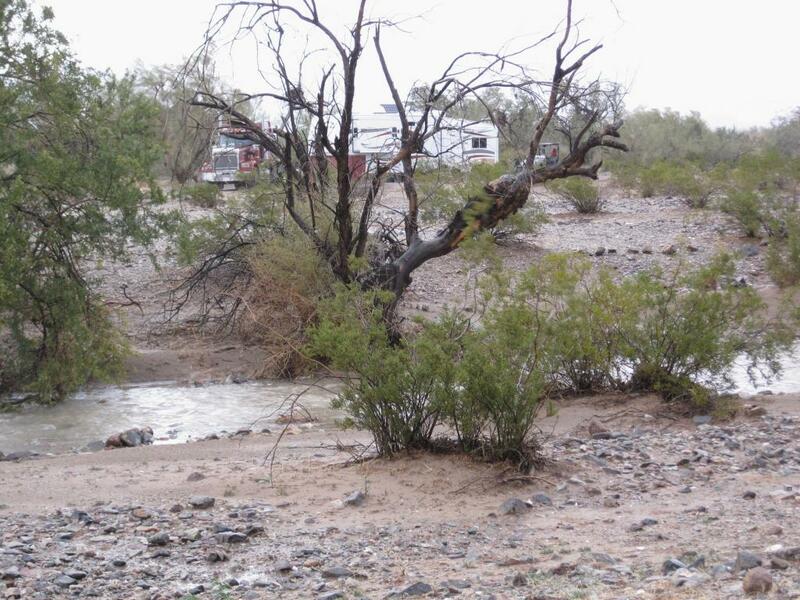 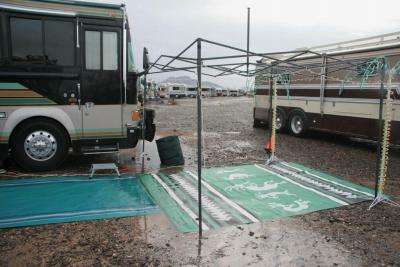 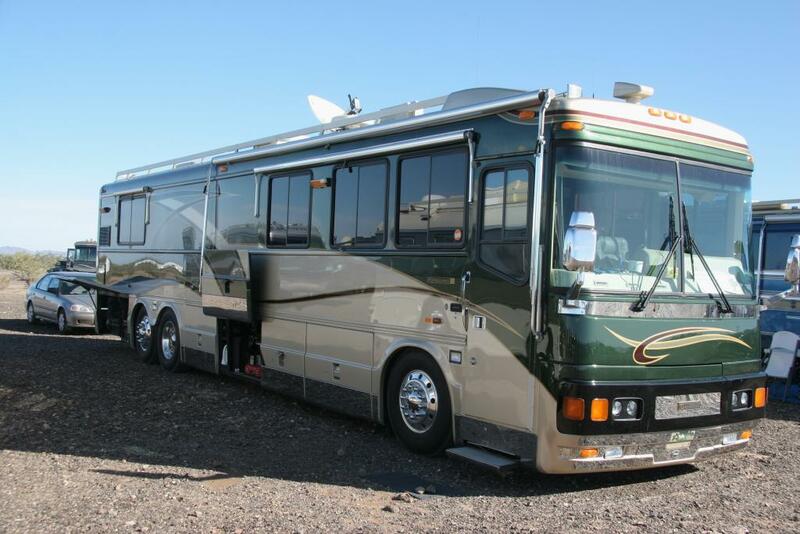 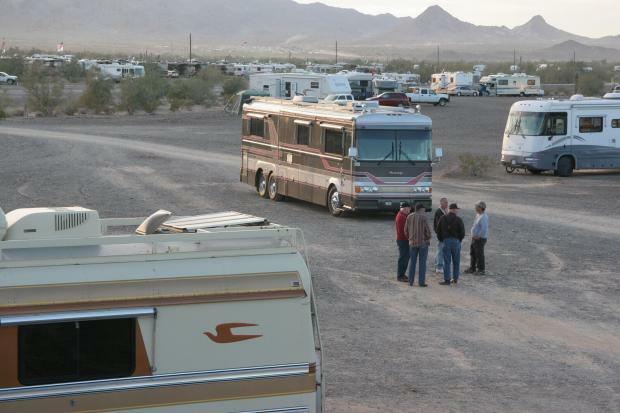 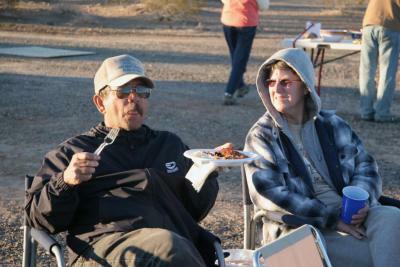 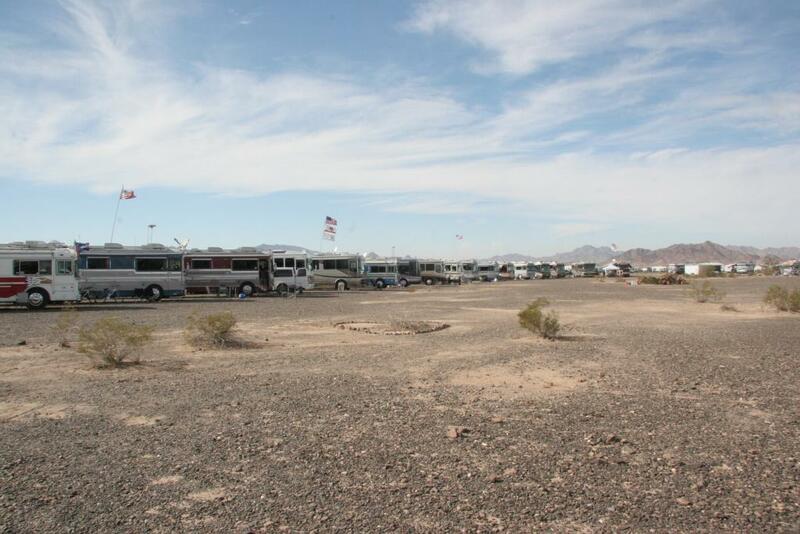 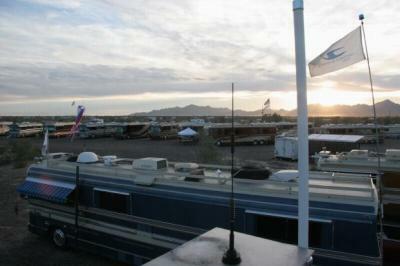 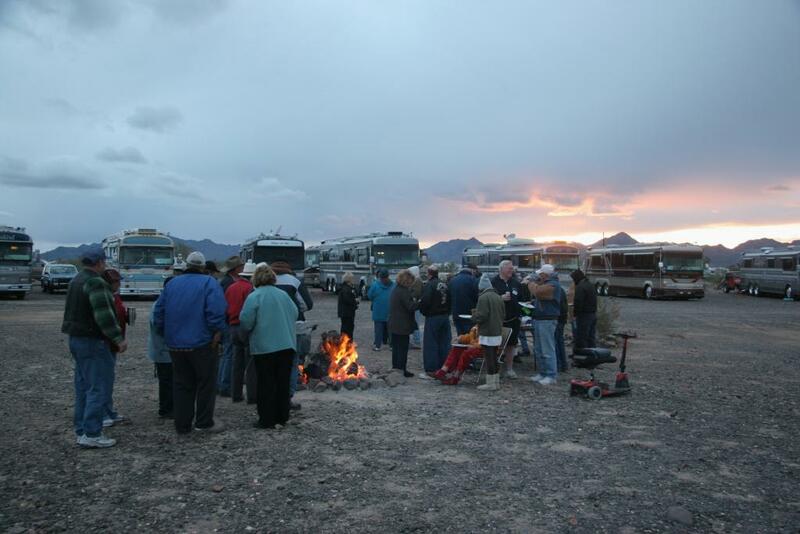 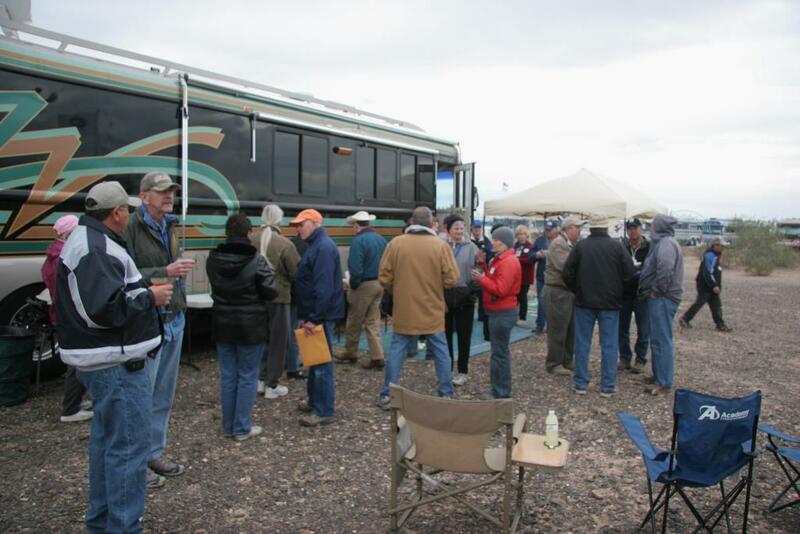 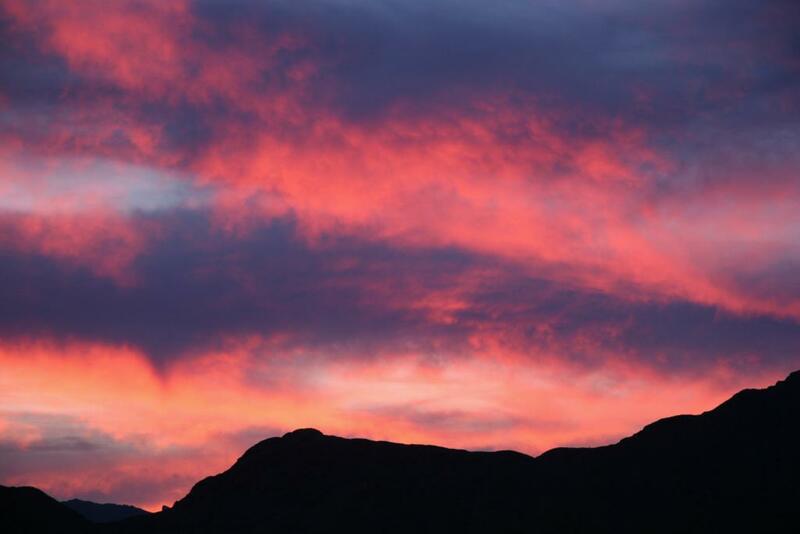 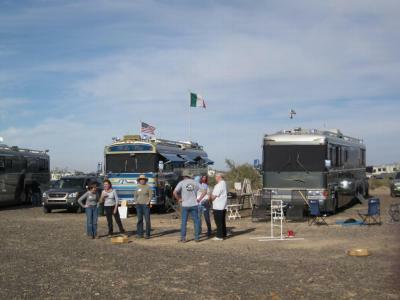 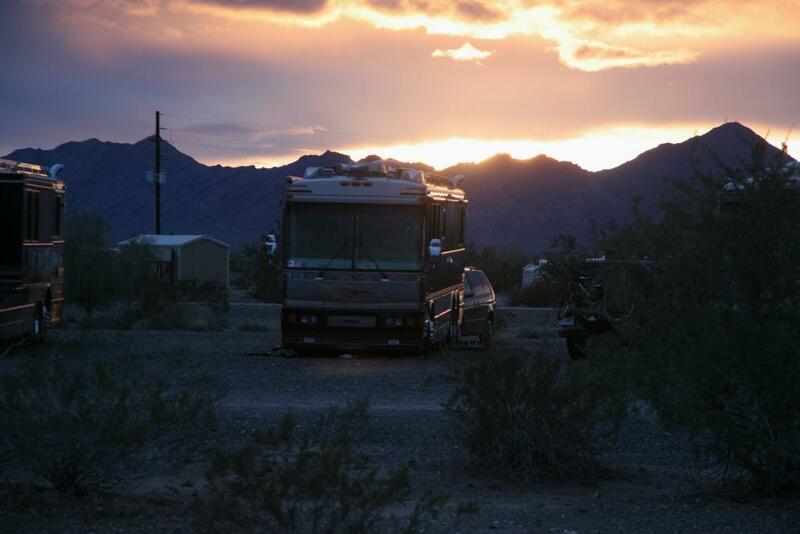 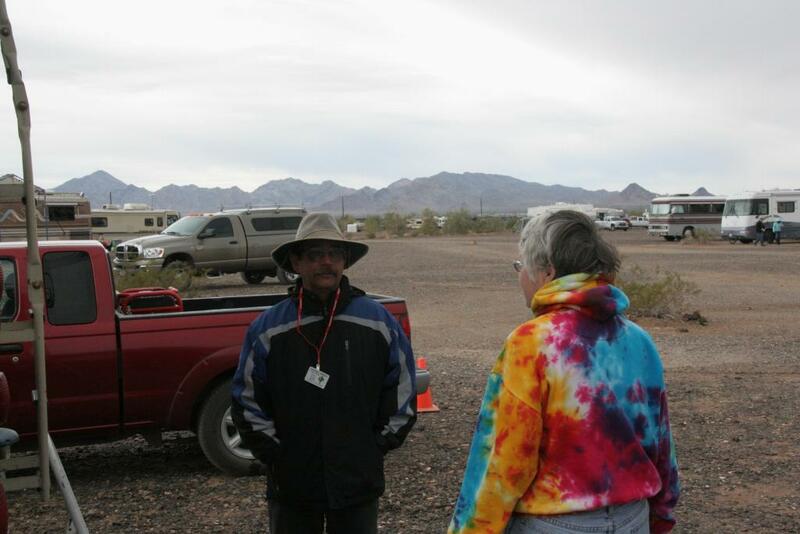 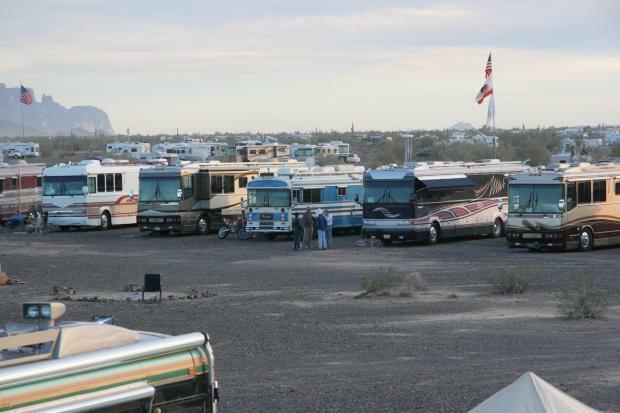 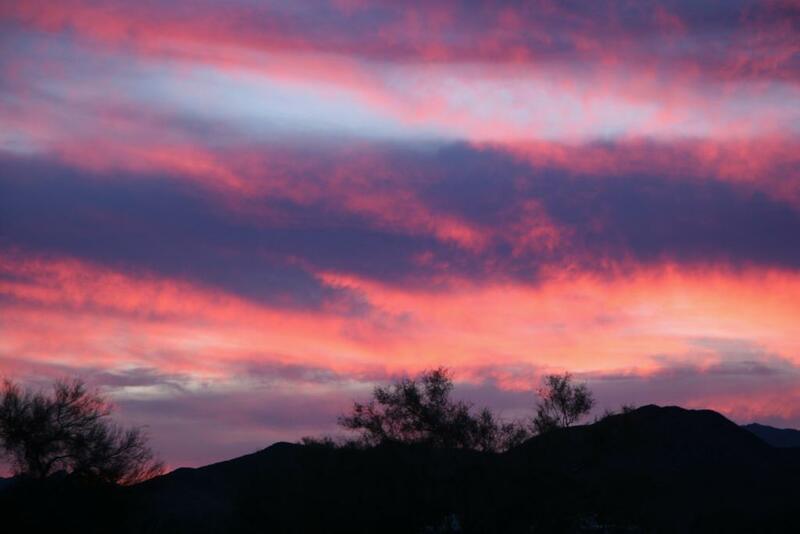 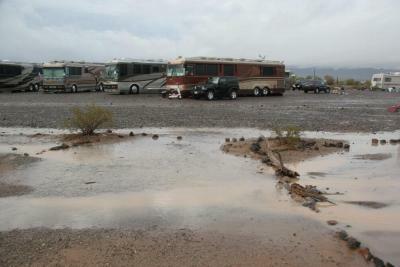 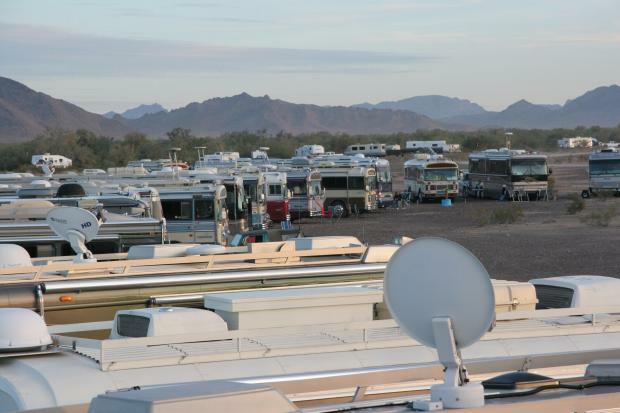 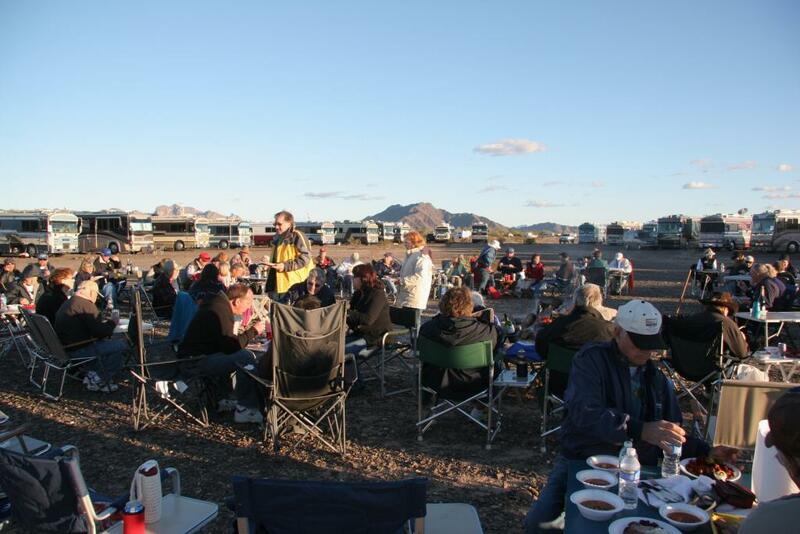 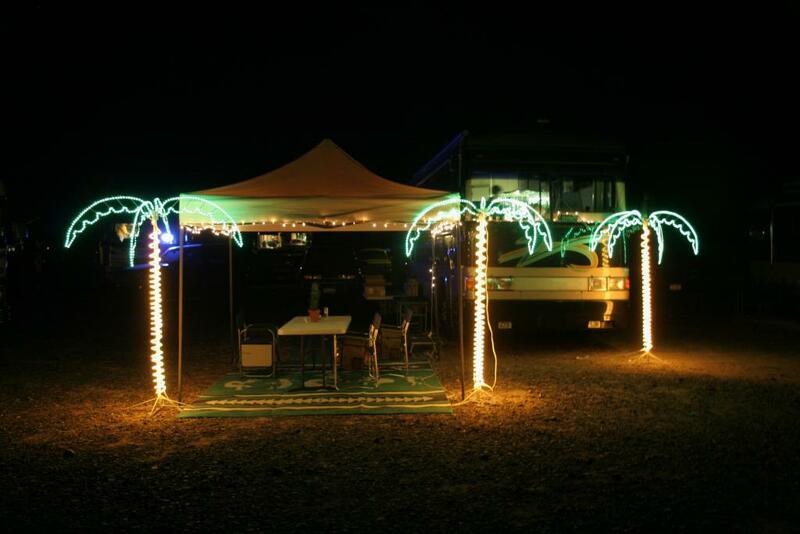 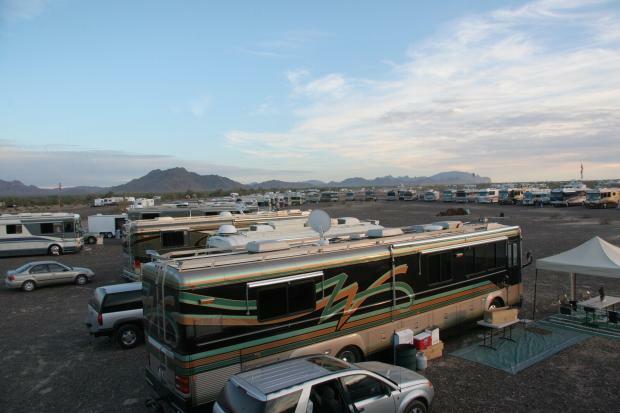 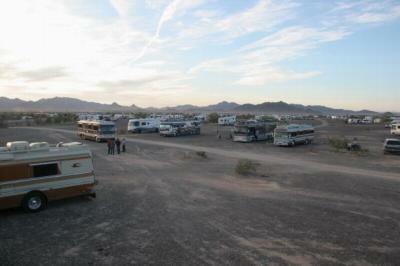 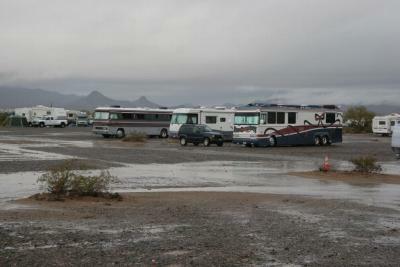 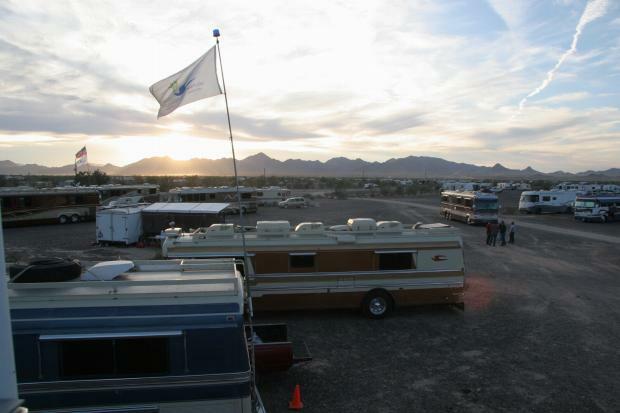 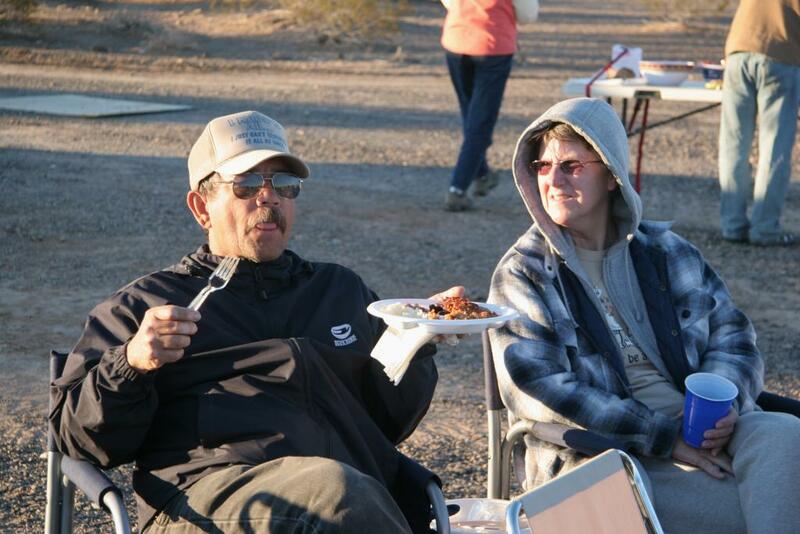 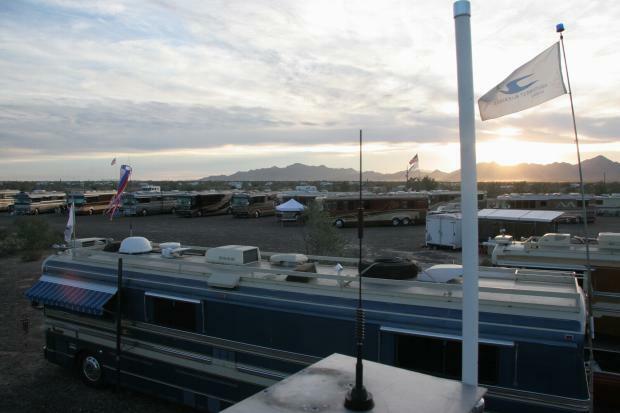 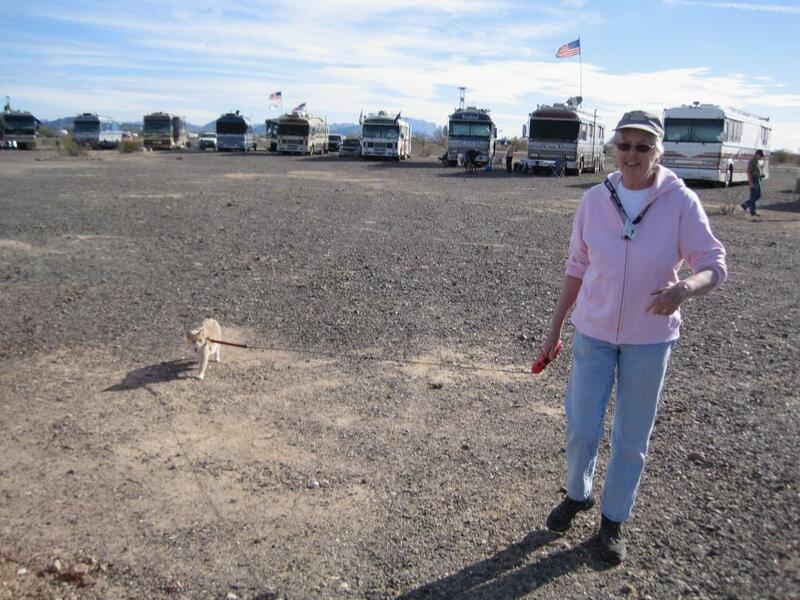 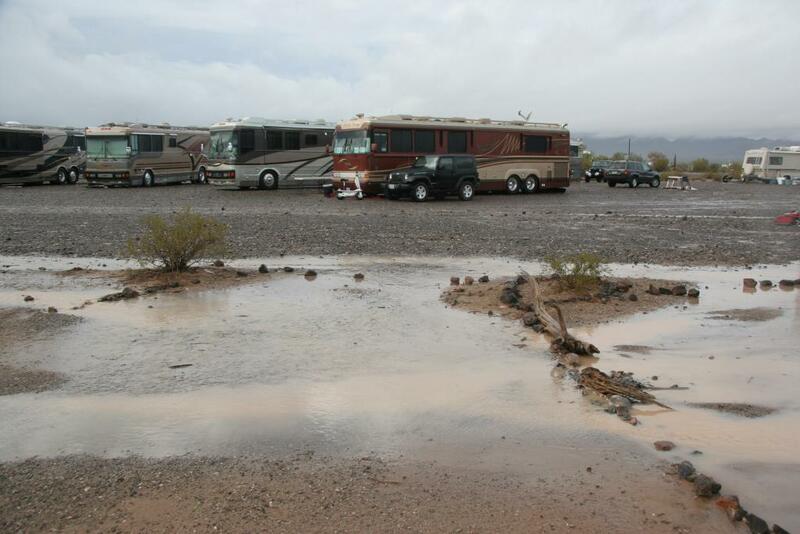 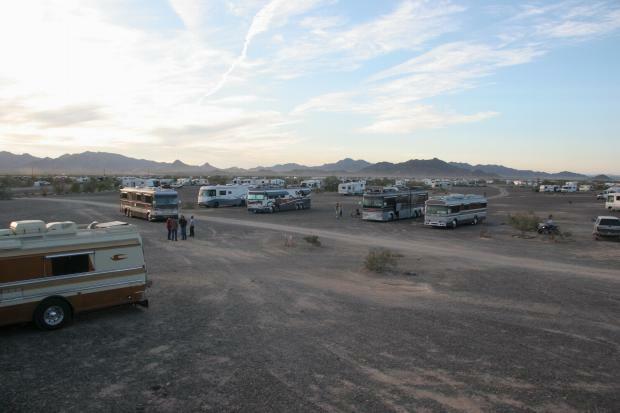 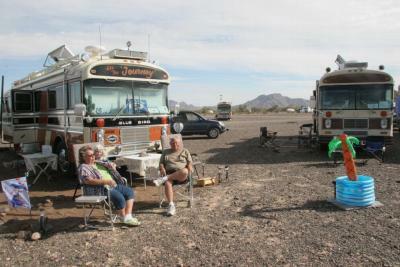 This is our seventh winter trip to Quartzsite, and fourth Blue Bird Rally at Quartzsite. 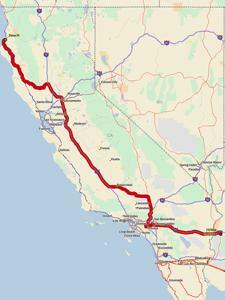 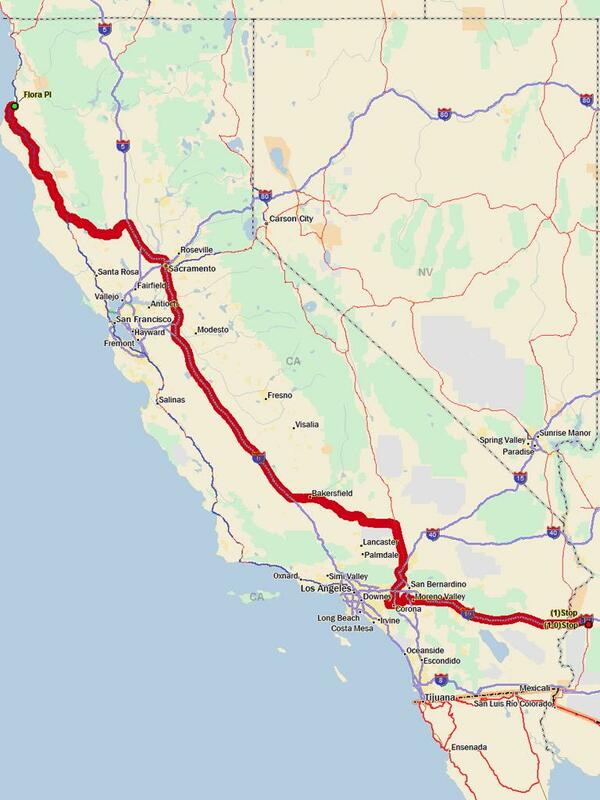 Joy has wanted to visit the large Road to California Quilt Show for a number of years, and this was the first time that we could work out the timing. 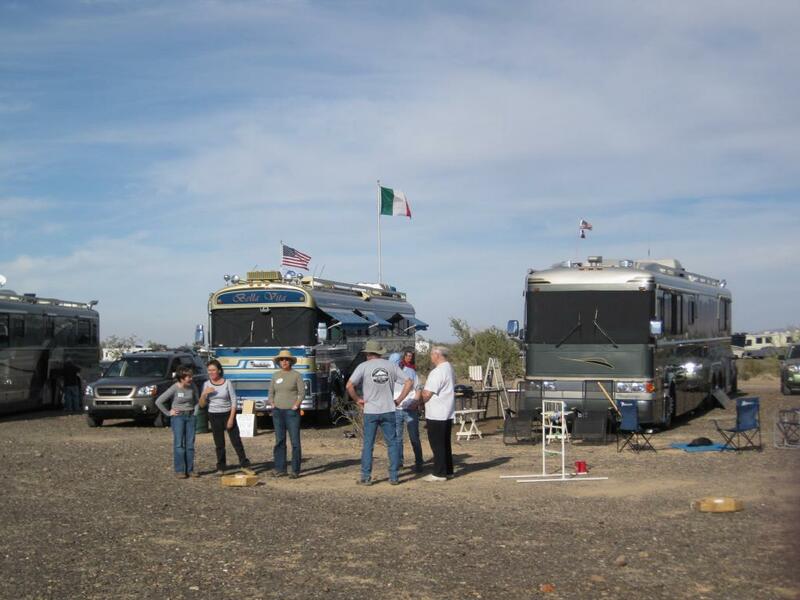 The show is in Ontario, and we stayed for a few days at Prada Regional Park in Chino. 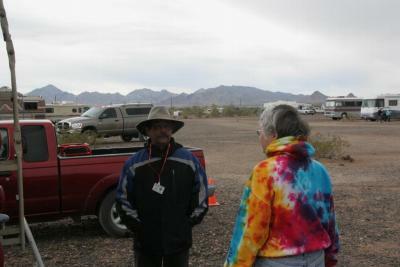 There are a lot of pictures of the quilts at the show, so Click Here if you would like to see them. 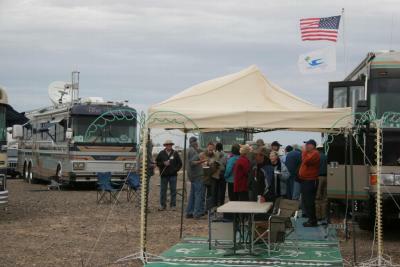 This year's Blue Bird rally was the largest and longest so far. Although we arrived on the official start date (January 16th) there were already around 50 coaches in attendance. 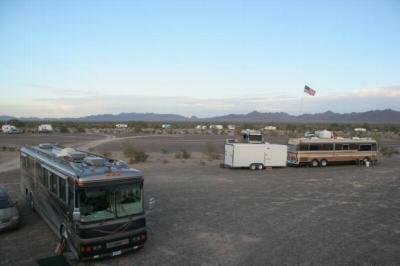 The photos below were taken from our roof, soon after arrival. 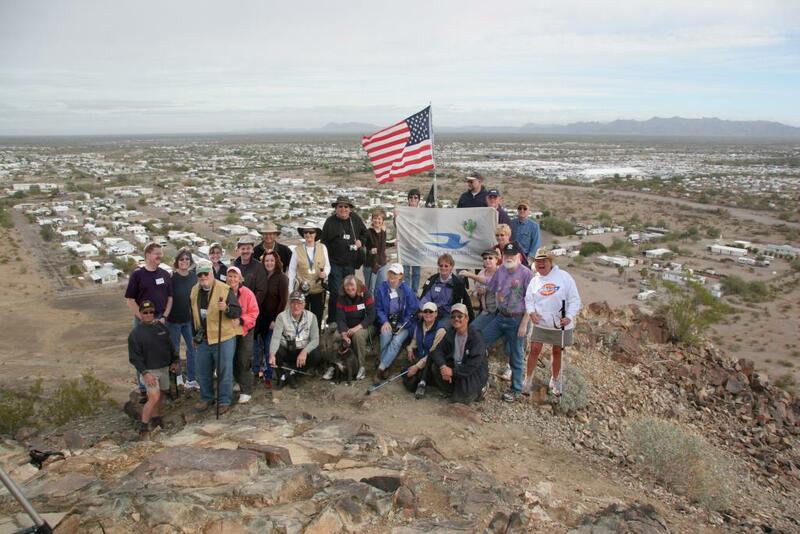 Six Blue Birders accompanied me up the Q Hill (also known as Q Mountain) in 2009. 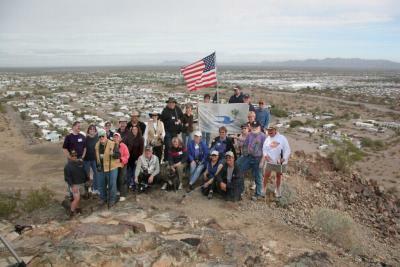 We got a much larger group to make the ascent this year. 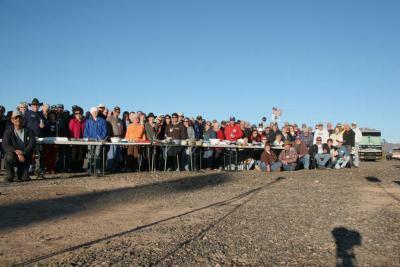 Lots of images here of the rally. 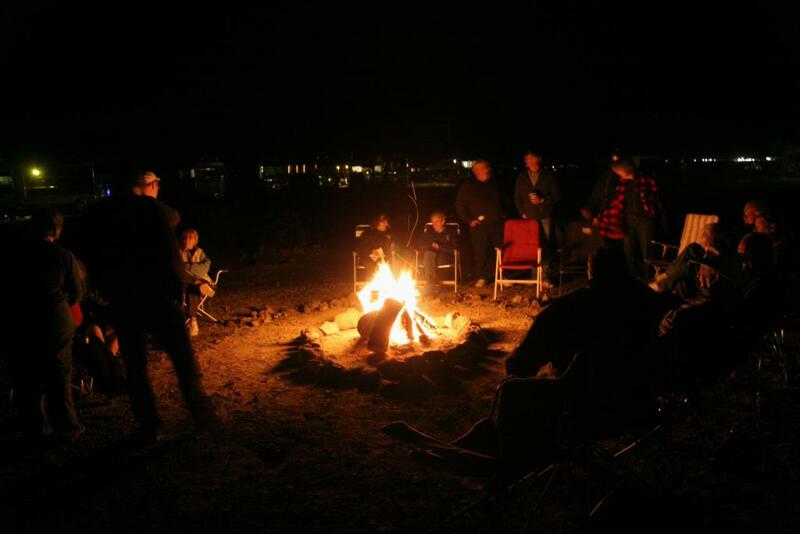 A nighttime bonfire was standard except on the stormiest of nights. 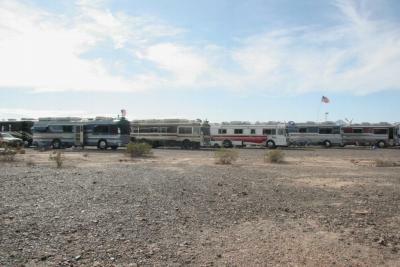 Two of the regulars have lost their coaches to fires in the past few months. 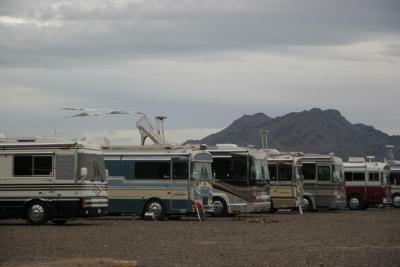 Each has bought another, newer, coach as a replacement, and they are shown below. 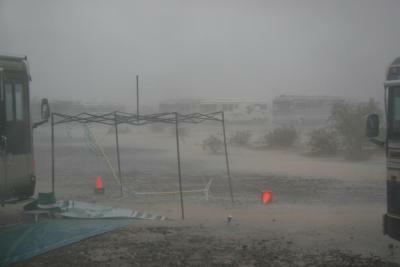 The last of the photos before the weather decided to turn wet. 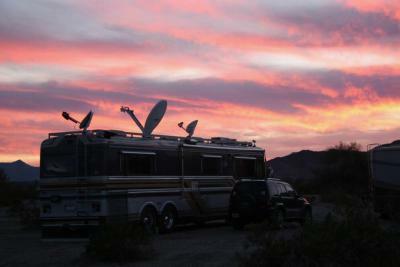 When it dried out things returned to normal, and we got some great sunsets among other things. 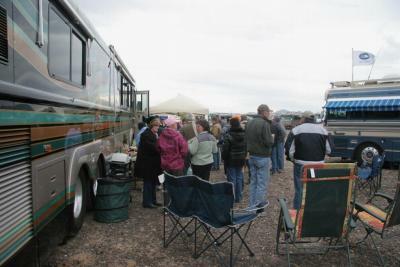 As usual, we stayed a couple of weeks after the rally was over. The sunset below was the best we saw, and occurred at the end of January. 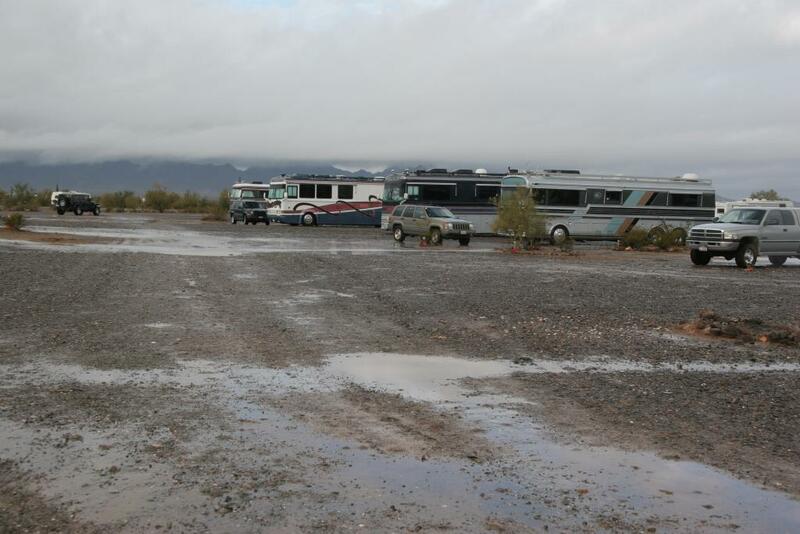 We had planned to spend some time in Death Valley before heading home, but the weather wasn't conducive, so we just headed home in a direct fashion.